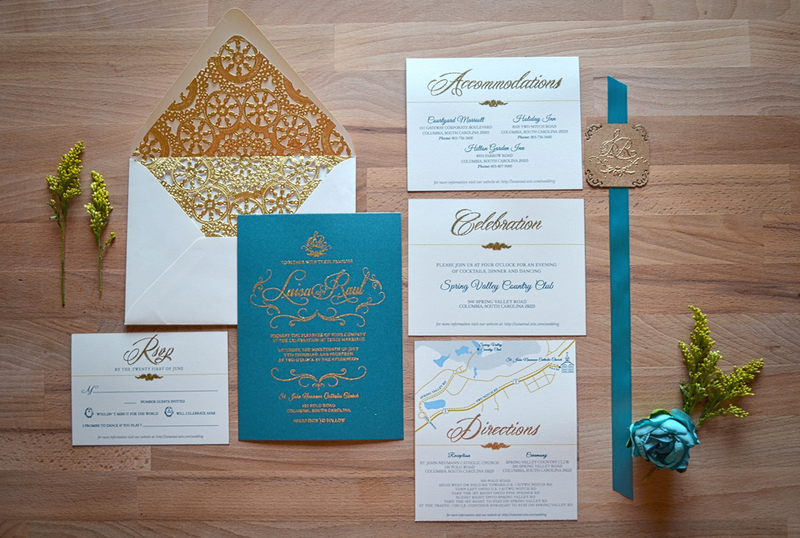 Home Gig created these custom wedding invitations using teal blue and gold damask accents on vibrant teal fine paper and on thick card stock. Each card was stamped and hand painted with gold embossing powder. Incorporating the couples symbol of love for one another, the penguins, which represent commitment of marriage, family and the necessity to stick together, make their cameo on the RSVP cards. To add an extra POP, Home Gig included gold lace liners to contain the individual elements. Did you know that penguins mate for life, huddle in large masses (stick together through sickness health and adverse weather) and abstain from eating during courtship, mating, nesting, and the pregnancy? After the baby is born the penguins share all responsibilities for the new baby. Its enough to make Home Gig want to melt. 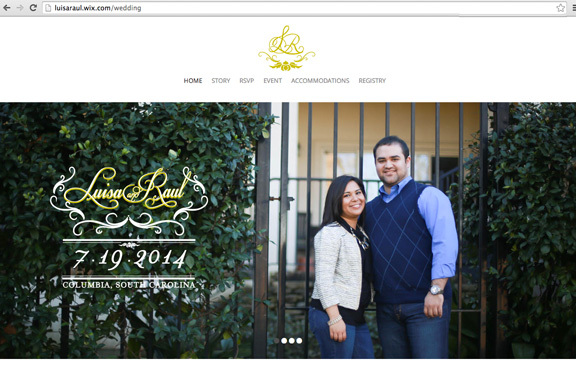 Cheers to Raul and Luisa! Website, Menu cards, table numbers, place cards, programs were included in the creative package.